App users are a flaky group, easily discarding apps in favor of the hot new thing. But new data suggests they are developing more loyalty toward apps, abandoning them less frequently and visiting their favorite apps more often, according to app analytics firm Localytics, which also found that iOS apps (s aapl) have better retention rates than Android (s goog). App users are now abandoning apps after using them just once at a rate of 22 percent, down from 26 percent when Localytics first looked at retention rates last year. And for users who open an app more than 10 times, that figure has gone up from 26 percent to 31 percent. That suggests that app makers may be figuring out how to better encourage engagement and long-term use, rather than shooting for quick downloads. That’s been one of the big changes in the app ecosystem, as app makers realize it’s better to retain users than push for big download numbers, which can be easily inflated. 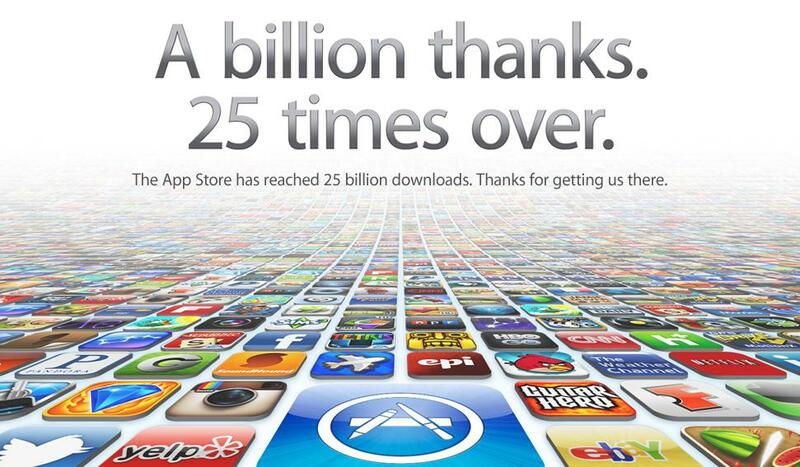 It may also be a result of the fact that many of the tools for incentivizing downloads have been blocked by Apple. 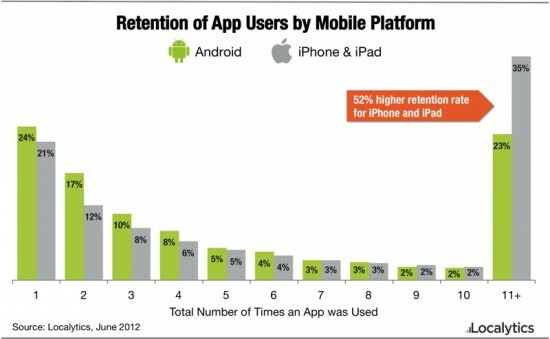 That may also partially explain why iOS apps perform better than Android apps in retention. Localytics found that among heavy users opening an app more than 10 times, 35 percent are iPhone and iPad users while 23 percent are Android users. For one-time users, Android apps also see 24 percent of their users abandon the app, while 21 percent of iOS users leave after one time. The company examined the behavior of app users on 60 million devices, comparing a nine-month period that ended in March 2012 with a previous nine-month period ending in March of 2011. The year-over-year improvement in retention may be a result of app makers getting better at building apps, said Localytics. Users might also be more discerning about which apps to try. Also, users are downloading more apps overall, according to Nielsen, which reported last month that the average number of apps per smartphone has increased from 32 apps to 41. As for Apple’s loyalty advantage, Nielsen also found that 88 percent of iPhone users are app downloaders while 74 percent of Android users are, another reason why retention may be better on iOS. Localytics’ CEO also told The Wall Street Journal that iOS apps may also be more polished because they’re the primary target for many app developers. iOS devices also enjoy higher customer retention compared to other smartphone makers. There are still plenty of challenges for app makers. The numbers show that 69 percent of the time, an app doesn’t get opened more than 10 times. 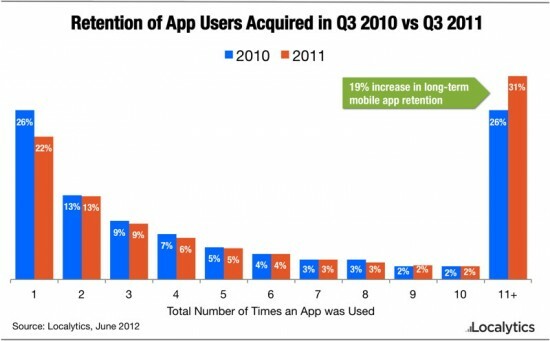 But for app makers, it’s clear that you need to continue to build for repeat usage and long-term engagement. With most of the monetization models for apps based on in-app purchase or advertising, it’s all about keeping people coming back to the app. The fact that people are returning to apps more often is an encouraging sign considering that the deluge of new apps is not slowing down. Maybe app users aren’t as flaky as we thought.